Make your own Ceiling Cat! | A Cat Called Freya, and Teego Too! ← I been to the V-E-T! Everybuddy can has a Ceiling Cat! Tubbypaws has made a fantastic papercraft Ceiling cat! 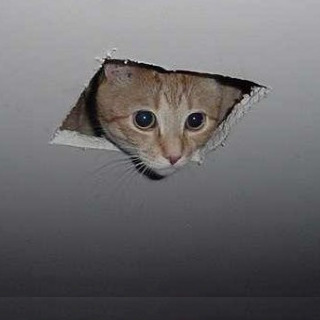 if you don’t know who Ceiling Cat is, he’s the cat that every cat looks up to. Papercraft is where you take a sheet of car or paper, and fold it very cleverly to make a 3D object. A paper aeroplane is a papercraft model.. 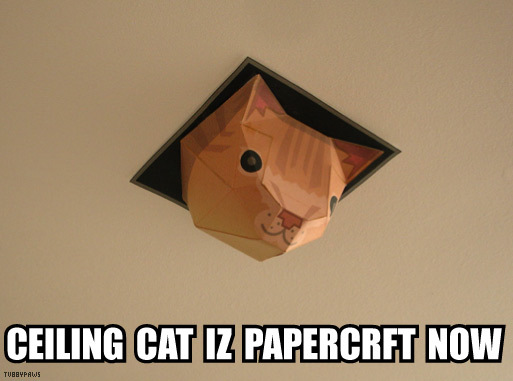 So here’s a papercraft Ceiling Cat! I’ve made one, but it doesn’t look quite as good as this one, but it’s great when people come round, and do a double take at the cat poking it’s head through the ceiling! Happy folding, and don’t get glue in your fur!! 13 comments to Everybuddy can has a Ceiling Cat! When our tails puff up, they shout “Squirrel!” at me and “pipe cleaner!” to Stygia. Aren’t you glad you are not a lousy little pipe cleaner?? I know I am. I do not think Mom will be making any papercrafts… however, she has crumpled up some papers for me to chase! I am a little bit scairted of Ceiling Cat. Because Ceiling Cat knows everything. Even if you have been bad. He’s sort of like Santa Claws in that way. That is so funneh. If I had that on the ceiling, all of my cats would be scared of it and become basement cats! Wally is our ceiling cat cuz he likes to get way up high! I wonder how the paper cat would look with our leopard rosettes? Thanks for visiting us Freya. We updated your linkie too. We think we will let our hu-mom make this. Maybe then she’ll stop talking about getting a kitten! A ceiling cat sounds kinds of scary! Dat kitty would sees everyfing and den we couldn’t breaks into da NIP closet! Ooooh! Mighty ceiling cat! I think I will have to pass this on, purrhaps my place can has a ceiling cat to watch over me! Thanks for the cool link! The original cat much more funny and cute. Cooll…!! 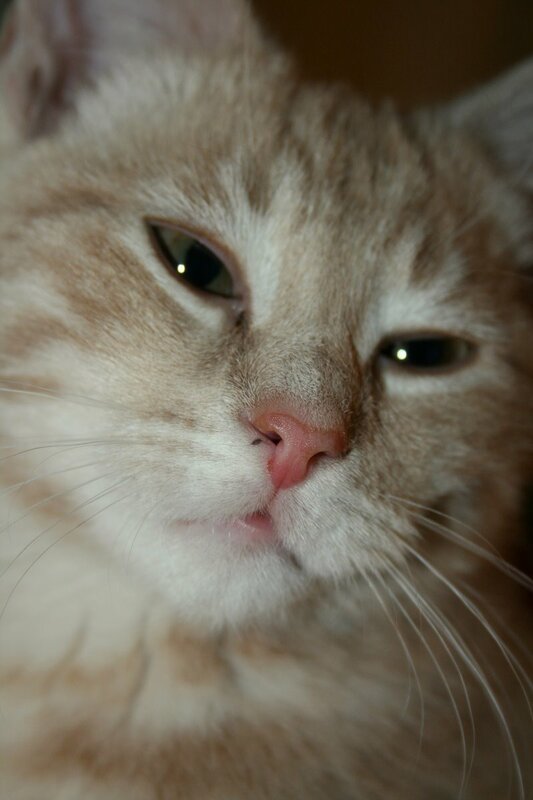 The face of God or Ceiling cat | A Cat Called Freya, and Teego Too!